Strawberries are tough and will survive many conditions, but, during fruit formation, moisture is vital, especially if growing in containers. Moreover, protection must be provided against slugs and snails which attack the ripe fruit. The fruit matures in midsummer, and should be picked when fully ripe – that is, the fruit is a uniform bright red colour. 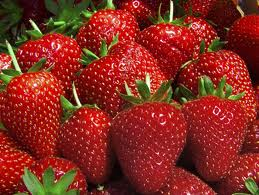 In addition to being consumed fresh, strawberries can be frozen, made into preserves, as well as dried and used in prepared foods, such as cereal bars. Strawberries are a popular addition to dairy products, as in strawberry-flavored milk, ice cream, milkshakes, smoothies, and yogurts. Strawberries and cream is a popular dessert, famously consumed at Wimbledon. Depending on area, strawberry pie, strawberry rhubarb pie, or strawberry shortcake are also popular. In Greece, strawberries are usually sprinkled with sugar and then dipped in Metaxa, a famous brandy, and served as a dessert. 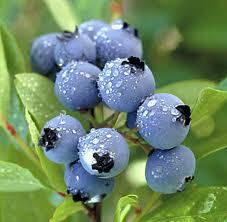 The blueberry harvest in North America varies. It can start as early as May and usually ends in late summer. The principal areas of production in the Southern Hemisphere (Australia, Chile, New Zealand and Argentina) have long periods of harvest. In Australia, for example, due to the geographic spread of blueberry farms and the development of new cultivation techniques, the industry is able to provide fresh blueberries for 10 months of the year – from July through to April.25 Similar to other fruits and vegetables, climate-controlled storage allows growers to preserve picked blueberries. Harvest in the UK is from June to August. Blueberries are sold fresh or processed as individually quick frozen (IQF) fruit, purée, juice, or dried or infused berries, which in turn may be used in a variety of consumer goods, such as jellies, jams, blueberry pies, muffins, snack foods and cereals. The blackberry is known to contain polyphenol antioxidants, naturally occurring chemicals that can upregulate certain beneficial metabolic processes in mammals. The astringent blackberry root is sometimes used in herbal medicine as a treatment for diarrhea and dysentery. Blackberries are notable for their high nutritional contents of dietary fiber, vitamin C, vitamin K, folic acid (a B vitamin), and the essential mineral manganese. Blackberries rank highly among fruits for antioxidant strength, particularly due to their dense contents of polyphenolic compounds, such as ellagic acid, tannins, ellagitannins, quercetin, gallic acid, anthocyanins and cyanidins. Blackberries have an ORAC value (oxygen radical absorbance capacity) of 5347 per 100 grams, including them among the top-ranked ORAC fruits. Another report using a different assay for assessing antioxidant strength placed blackberry at the top of more than 1000 antioxidant foods consumed in the United States. Raspberries are grown for the fresh fruit market and for commercial processing into individually quick frozen (IQF) fruit, purée, juice, or as dried fruit used in a variety of grocery products. Traditionally, raspberries were a mid-summer crop, but with new technology, cultivars, and transportation, they can now be obtained year-round. Raspberries need ample sun and water for optimal development. Raspberries thrive in well-drained soil with a pH of between 6 and 7 with ample organic matter to assist in retaining water. While moisture is essential, wet and heavy soils or excess irrigation can bring on Phytophthora root rot which is one of the most serious pest problems facing red raspberry. As a cultivated plant in moist temperate regions, it is easy to grow and has a tendency to spread unless pruned. 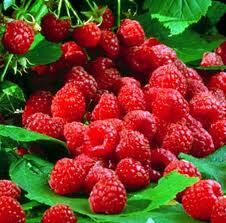 Escaped raspberries frequently appear as garden weeds, spread by seeds found in bird droppings.